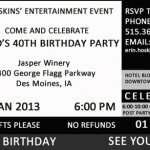 I’m still working on some projects for my husband’s 40th birthday party. He has a lot of old t-shirts from college and concerts that have been sitting in a box in our basement for several years. I can see why he doesn’t want to part with them, but I know he’s never going to wear them again either. 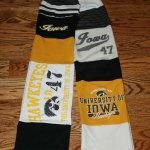 Periodically I’ve thought about what we might do to upcycle them, and most of the time I always came back to a t-shirt quilt. With his 40th birthday approaching, I’ve been thinking more seriously about what to do with these and a quilt just didn’t seem right. What would we do with it? I can’t imagine sitting on the couch cozying up with his old fraternity t’s or his Metallica concert shirts! Likely it would just go back in a box in the basement. Plus, I wasn’t sure if he really wanted me to cut them up. 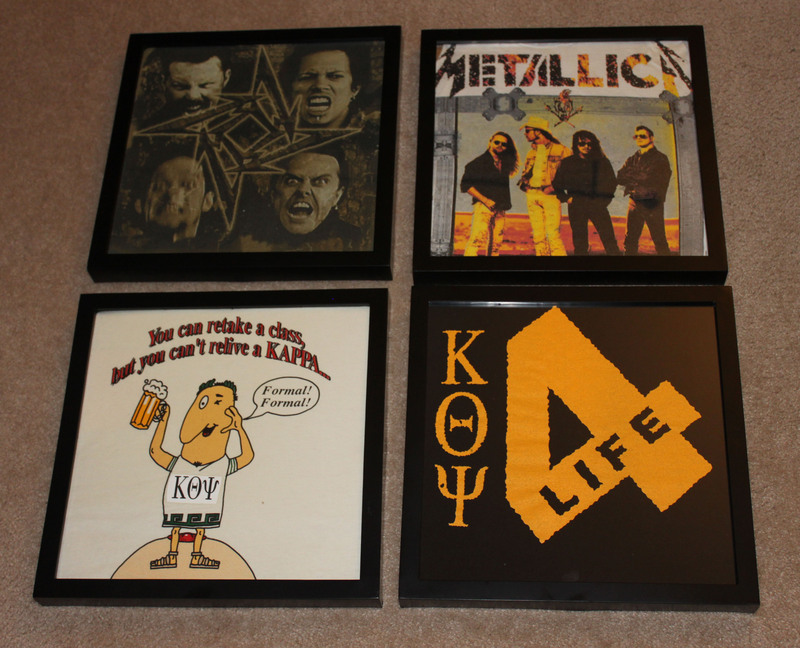 I finally decided I would try to frame some of the t-shirts. The concert shirts were a perfect fit for the “40 Rocks” theme. The party isn’t a surprise, so I’m trying to keep at least a few of these projects a secret until the party. Luckily he’s not a big reader of decorating and craft blogs! After searching the aisles at Michael’s craft store, I decided to try two different approaches. 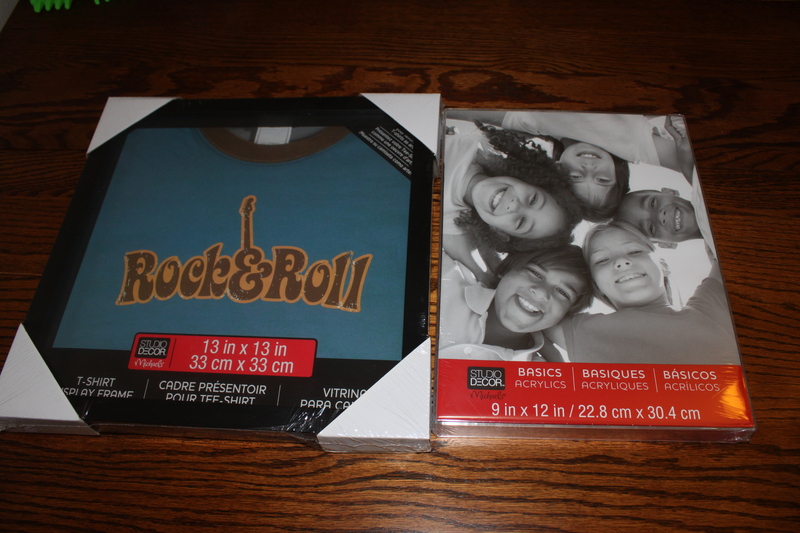 One was a shadow box frame that was made for t-shirts (at least it says it was) and the other was a clear acrylic frame. 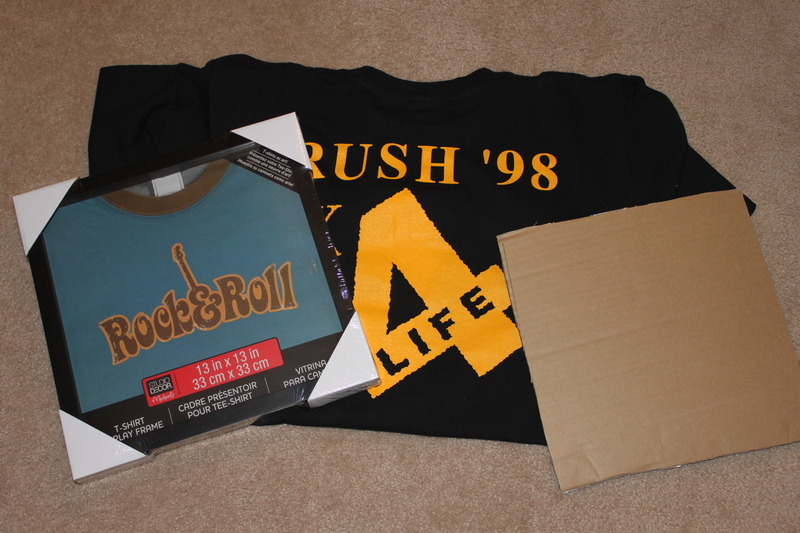 They cost $9.99 and $4.99 respectively, but the t-shirt shadow box was a buy one get one 50% off deal. I tried the acrylic frame first. I forgot to take a picture of the back of the frame, but essentially it was just a cardboard box that fit inside the back. I cut the top off of it so I could fold up the t-shirt after I got it in there since I wasn’t planning to cut up the t-shirts. 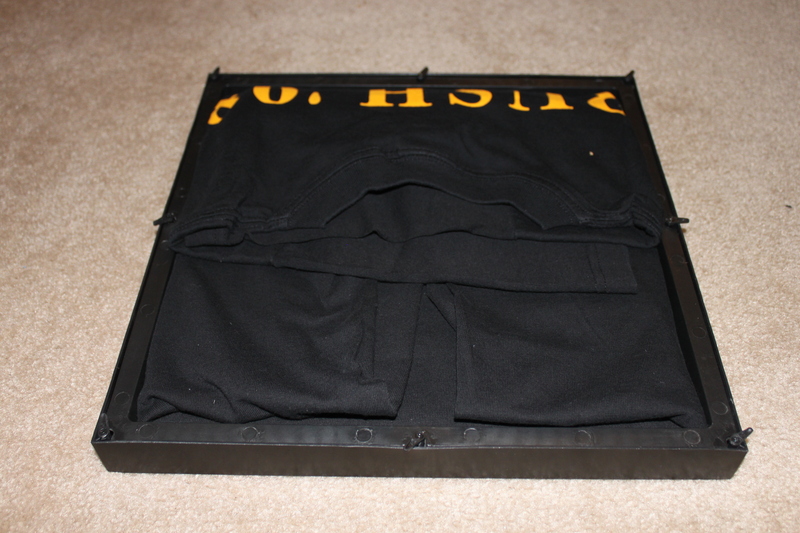 I then put the frame face side down and situated the t-shirt inside. 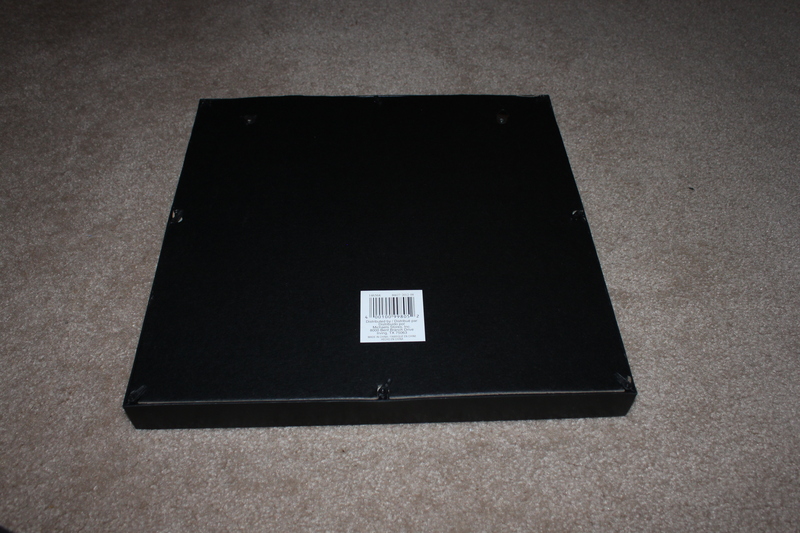 Then I put the box that came with the frame which i had cut back inside the frame on top of the t-shirt. 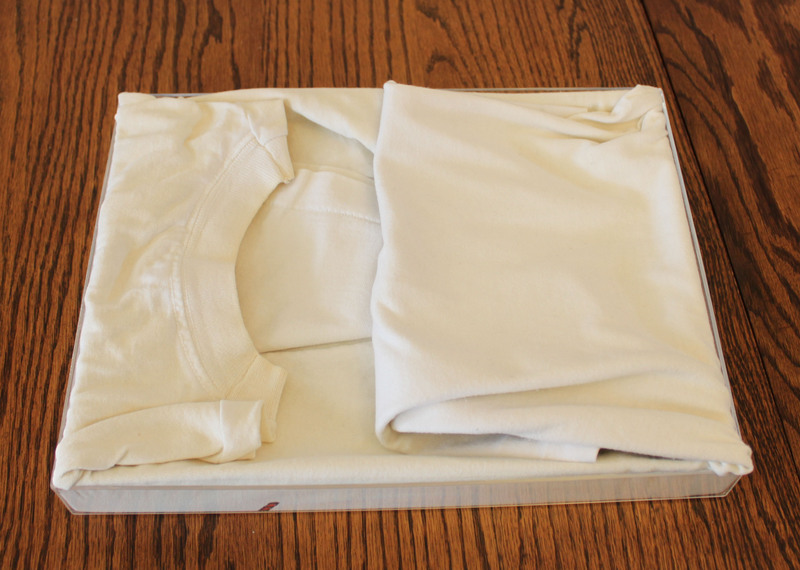 I folded up the top, bottom and sides of the t-shirt into the box. I needed a way to keep the t-shirt in place and potentially hang it up, so I cut a piece of cardboard about 2 inches longer than the length of the frame and then scored and bent the cardboard 1 inch in on each side. Then I inserted this into the back of the frame. Here’s the final product. I liked it well enough (didn’t love it), but I knew some of the t-shirts had much bigger graphics than this one and likely wouldn’t fit in the frame. So… on to the next option. This frame was marketed specifically as a t-shirt frame. 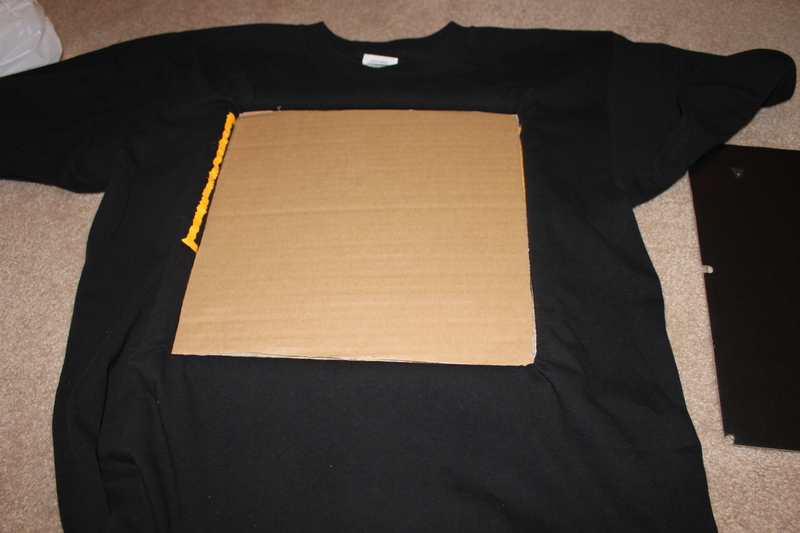 If you use this option, you’ll also need some cardboard to keep the t-shirt straight and in place. I realized this once I took the back off of the frame, which just comes on and off by turning the little swivel levers – similar to many picture frames. I just traced the glass and cut a piece of cardboard slightly smaller to get the right size. I put the frame face side down and made sure it was centered and positioned the way I wanted it. This took me about 3-4 tries to get it right. 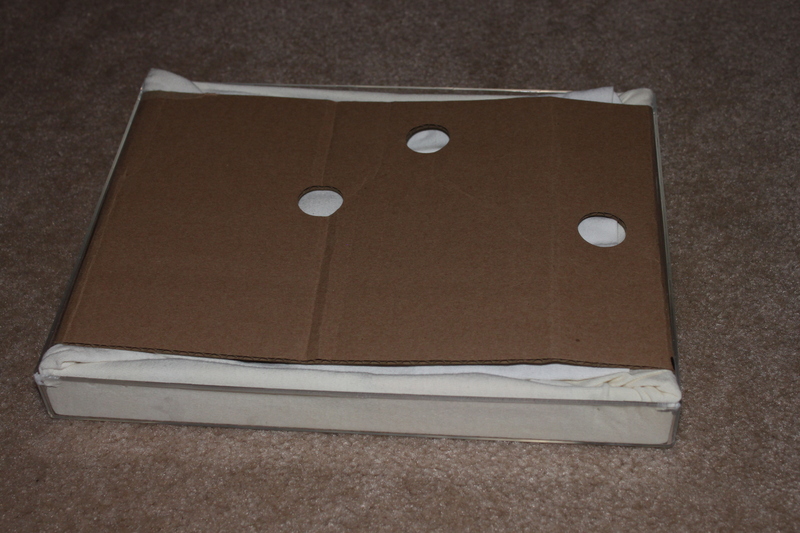 Then, I placed the cardboard into the frame on top of the t-shirt. 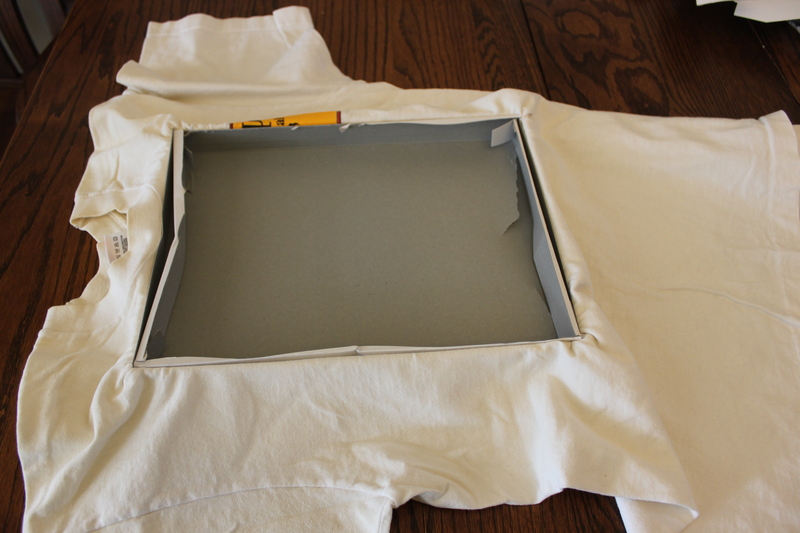 Finally, fold up the t-shirt inside and replace the back. This one was a fairly thick t-shirt, so the back bulged a little after I put it on, but it still fit and stayed in place securely. I really liked the final result on this one better than the acrylic frame. When i went back to Michael’s to get a few more, they were buy 1, get 1 free – even better! I ended up reframing the one I had originally done in the acrylic frame and two others. Here are the four finished frames. I’m really happy how they turned out. I think my husband will be surprised that I remembered about his stash of old t-shirts and that I didn’t have to cut them up in order to make momentos he can hang in his office (he works from home). Each one took about 15 minutes including cutting the cardboard inserts. 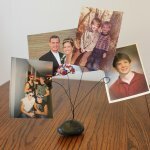 DIY Rock Photo Holder – 40 Rocks! This is super cool! Great idea, I never would have thought of it. This is such a wonderful way to preserve the shirts! I bet your husband loves this, what a great birthday gift! 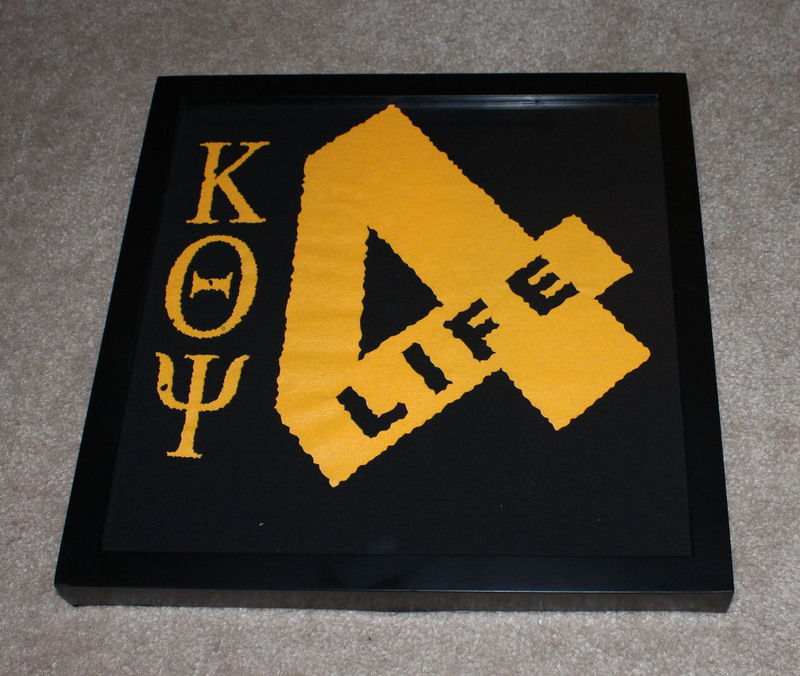 I have SO many greek life shirt laying around (still), I need to do something like this! Thanks Taryn! The party is on Saturday, so I’m looking forward to his reaction. 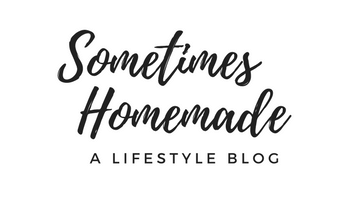 I’ve enjoyed checking out all of this week’s thrify projects! i am going to do this with a group of shirts from the various 1/2 marathons I have done, and hang them in my home gym for inspiration. thanks for the tips! Thanks for the great idea. I have a t-shirt that has been hanging in my closet that my Mom decorated for me for the 4th of July over 23 years ago. My Mom passed away in 1993 and I have been trying to figure out how to preserve it. Now I know exactly what to do. Thanks again!! 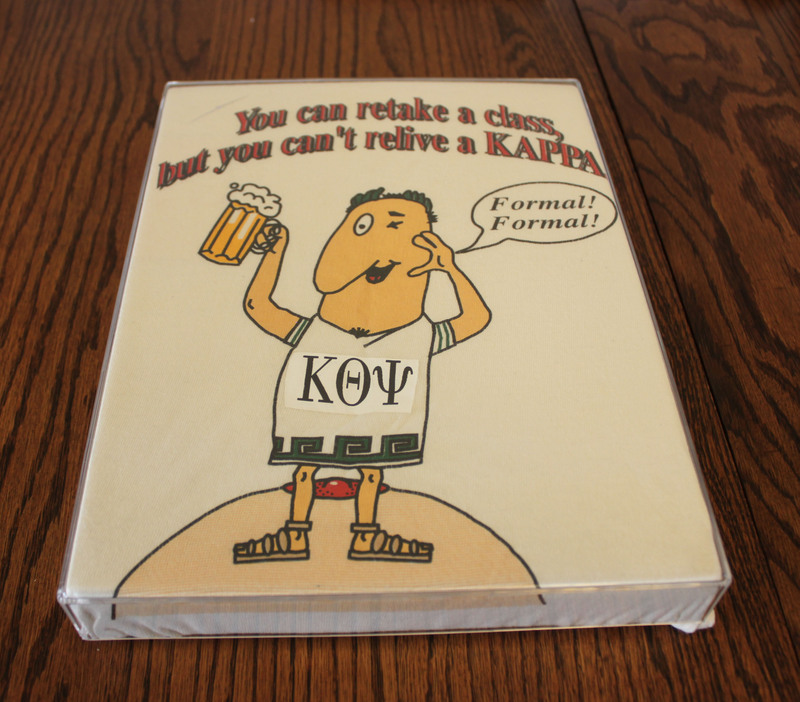 Kelly, if you really want to preserve it, make sure to use archival quality materials. 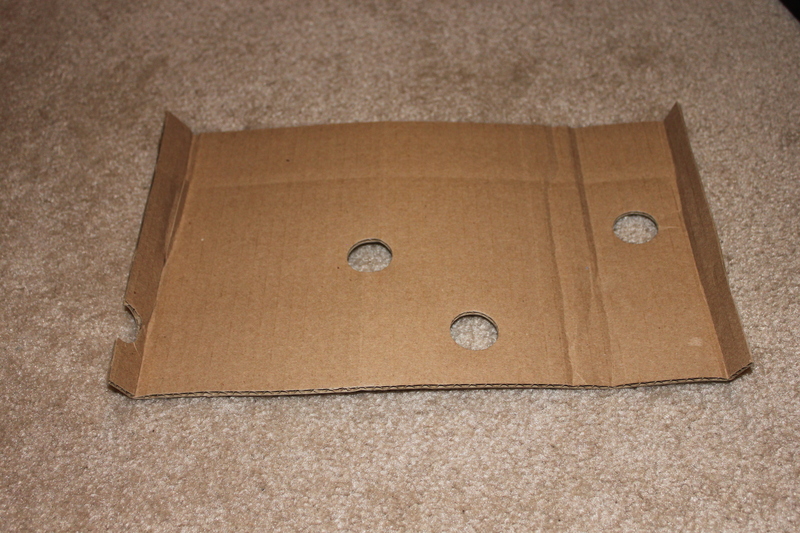 Acids in cardboard and paper can eventually harm the fabric. 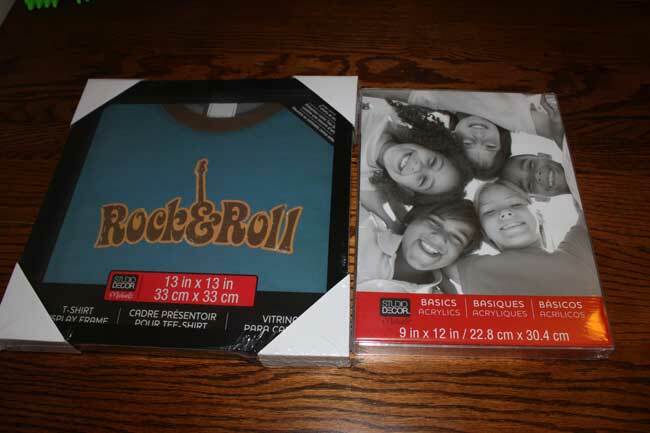 I bought the same t-shirt frame but was not sure how to secure it in the frame. Thanks for the tip on the cardboard.